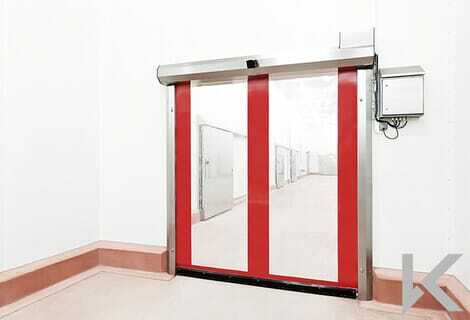 For speed doors within areas such as food factories with requirements for regular cleaning of the equipment and environment the Rapidor Food Series presents the optimum solution with it's hygienic finishes and capability to be thoroughly washed down. 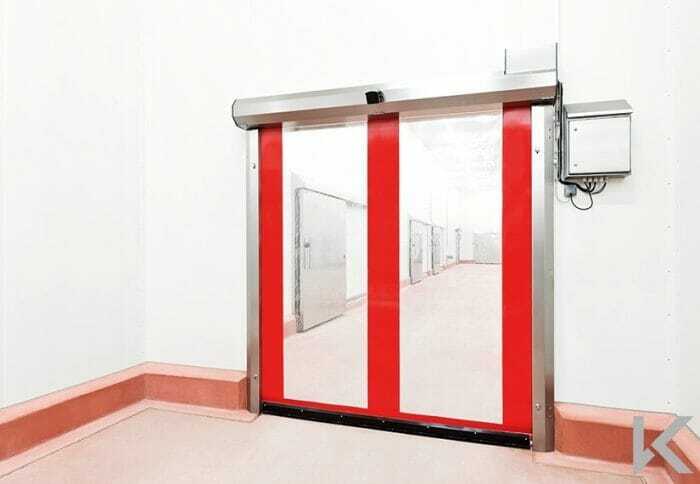 Constructed entirely from food-safe and corrosion-resistant components, Rapidor Food+ is our ultimate fast action door solution for wash down areas. 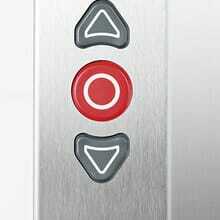 The door has unique hinge-away cover sections allowing all parts of the doors to be hosed off and cleaned with appropriate detergents, ensuring no build-up of bacteria. 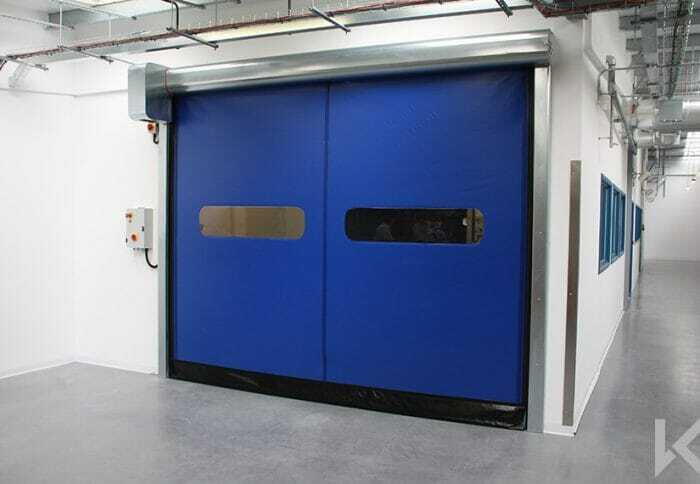 The components of the door include plastic bearings permitted for the food industry and the motor and components are rated to IP65 or IP67 ensuring safe use for high risk areas. Another clever feature is the sloping top section and polyethylene channels on the bottom rail to ensure water drains away safely to the side, rather than dripping from the bottom of the door. 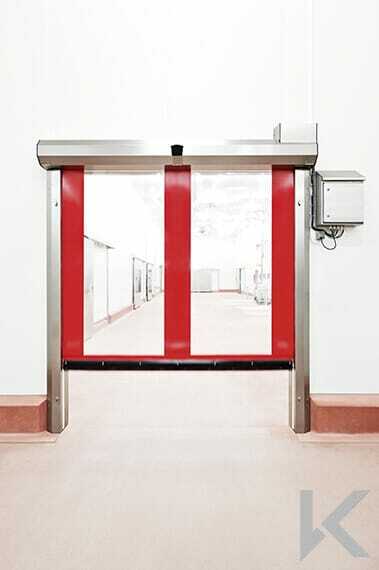 The doors offer opening speed of 1500mm/second to ensure user-friendliness and help maintain productivity as well as featuring an auto-close feature to ensure hygiene control is maintained at all times. 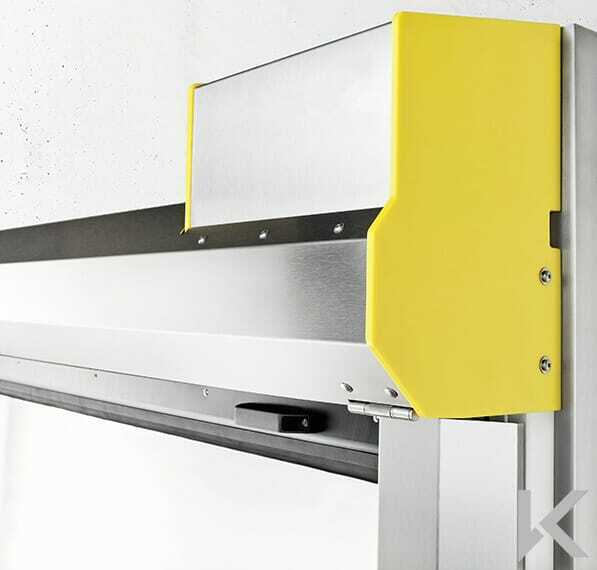 The Rapidor Food wash-down self-repairing door is a popular solution for areas such as food factories with rigorous cleaning routines. 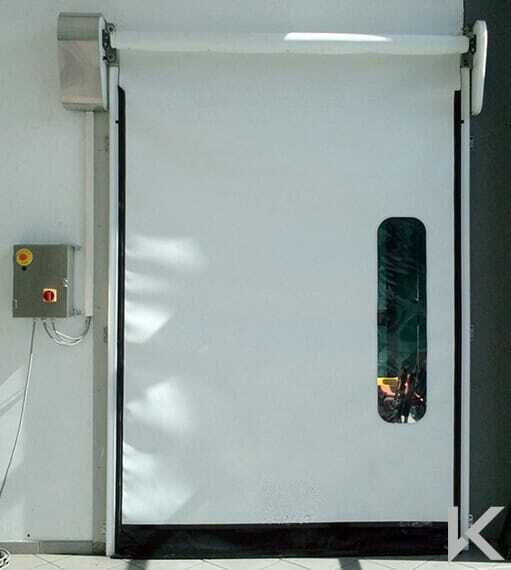 The doors are constructed from Polyethylene with stainless steel accessories and an FDA-Approved PVC curtain, meaning the door can be pressure-washed down to ensure there are no dirt-traps. 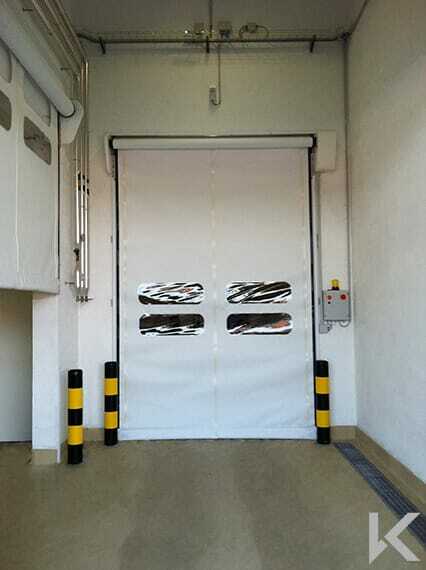 Rapidor doors help solve the costly problem of door damage with their zipper self-repairing system which allows the curtain to reinsert itself after collision. 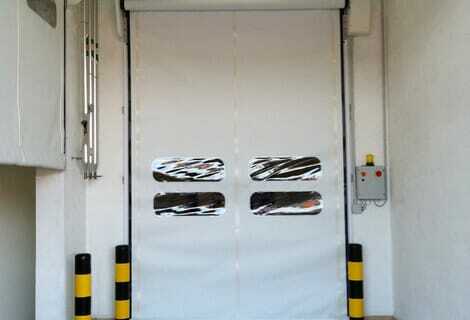 The doors have a heavy-duty curtain providing a tight seal to protect against air currents, temperature differences, humidity and dust. 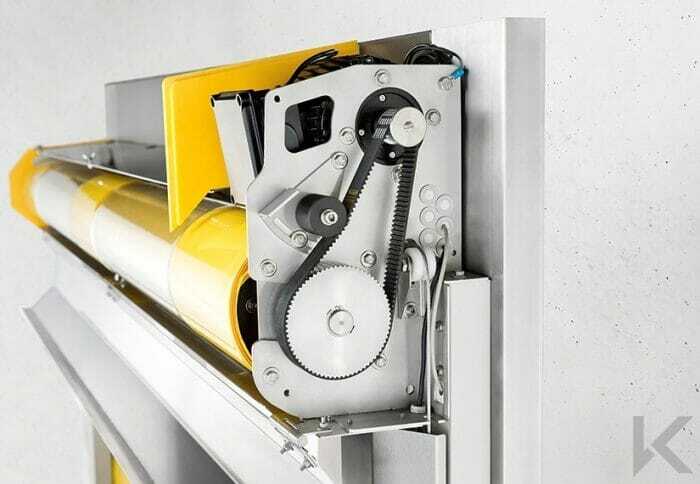 The high speed operation of up to 2000mm/second helps to maximize productivity through the doorways and prevent the risk of contamination. Rolls Royce Solution for GKN Aerospace!